NYC-All Airports - Tampa Intl. The salty breeze of an ocean tickles your nose. You gaze up, and there is not a cloud in the sky on this perfect day. Nearby you hear kids playing in the sand and the lap of a wave hitting the shore. Maybe you’ll rent a paddleboard and soak up a slice of bliss on the open water. Maybe you’ll return to land for a more exciting adventure at an amusement park, or learn something new at a museum. The choice is yours, and all doors are available to you. Whether you want to soak up some vitamin D or a bit of knowledge, there is something here to suit your tastes. Welcome to Tampa, Florida. You’re in the sunshine state now, and it’s all rainbows from here. Book your Tampa vacation package with Travelocity today, and you can save by bundling your hotel and airfare. With extra cash in your pocket and a trip to the land of palm trees and sandy beaches in your future, things are certainly looking up. Get ready for some sun in the sun, wise wanderer. You deserve it. You’re excited about your vacation in Tampa; some time in the saltwater will soothe any worries away and is bound to reinvigorate your soul. 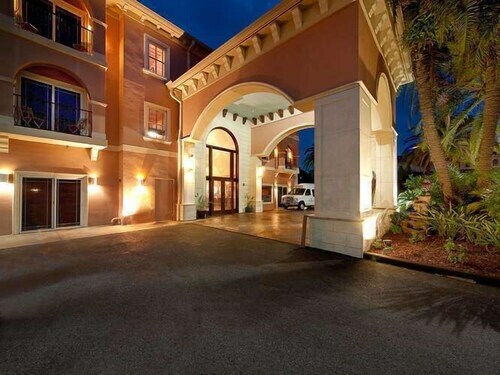 Book the right hotel and you’re off to the right start. These popular accommodations are always waiting with excellent service and comfortable beds. 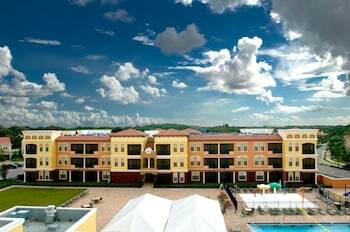 Sailport Waterfront Suites: The only all-waterfront, all-suite resort in the city is located on Rocky Point Island. You’ll wake up to the crashing of the waves and enjoy a cup of coffee on your private balcony. Nearby, the beach awaits with plenty of space to play and an on-site heated pool is also a great escape. 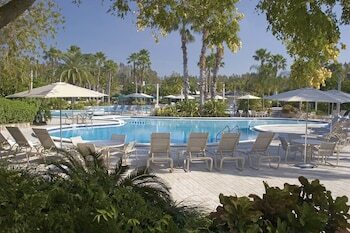 The Westin Tampa Harbour Island: This hotel calls itself a private retreat, and it lives up to the name. Lavish in the beachfront location, which is just steps from downtown yet manages to feel secluded. 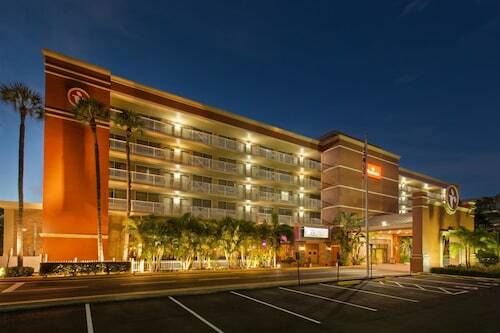 You can walk to many top attractions, then return for a patio dinner. Chase Suite Hotel Tampa: A private fireplace and a spacious seating area; these are just a few of the luxury features in this cozy hotel. You can also sit by the sea next to a fire pit and make dinner in your private kitchen. 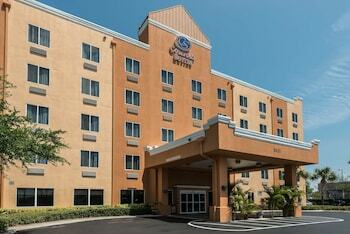 Tampa Airport Marriott: This hotel is not only near the airport—it’s actually attached. Getting to the marble-clad lobby is just a short walk from the terminal desks. You can relax in your stylish room or take off toward downtown to go for a nightcap. Book your Tampa vacation package on Travelocity, and you have plenty of time to start planning your excursions under the Floridian sun. Begin your urban adventure at the Florida Aquarium and Lowry Park Zoo, which is a great spot to make some new furry or feathered friends. If larger than life felines are up your alley, stop by the Big Cat Rescue to peek at the creatures and get an educational tour. Visit the Ybor City State Museum, which puts local history on display, or devote time to the historic Tampa Theatre. If you just want to play, you can go canoeing, trek through Lettuce Lake Park, or splash around in the ocean. 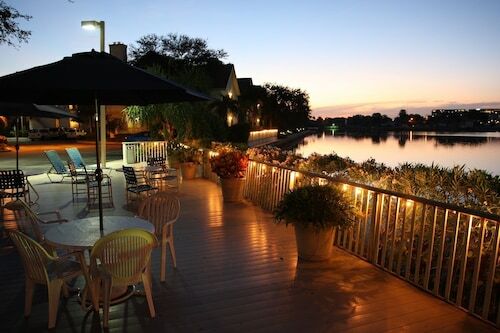 When night falls, wine and dine in Ybor City or Harbour Island. Undoubtedly, the Gasparilla Pirate Festival in January is one of the city's best, as is the Tampa Bay Theatre Festival in September and Tampa Cigar Heritage Festival in November, which is the largest cigar fest in the world. Regular events like the Ybor City Saturday Market and weekend music concerts keep the city buzzing year-round. Seasonal sports games are also worth attending. From April through September you can catch a Rays baseball game, and from September through December, you can sit in on a Buccaneers football game. Book one of our deals in Tampa today, and you’re on the track to the adventure of a lifetime. Prepare for sailing excursions, long walks along the coast while the sun comes up, and visit the famous Busch Gardens park. With some sunscreen and a sense of adventure, wise wanderer, Tampa can be the peaceful retreat you’ve been seeking. 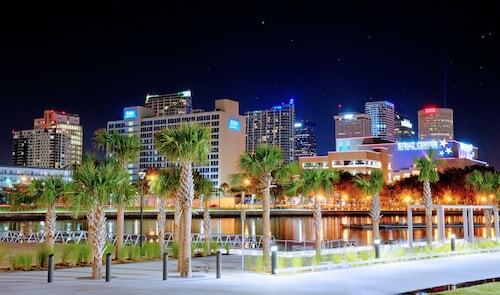 Need insider tips on must-see attractions in Tampa? 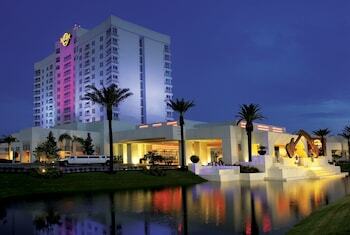 Check out our Tampa travel guide! This downtown Tampa hotel is adjacent to the Straz Center for the Performing Arts Center and 10 blocks from Tampa Convention Center. The Amalie Arena is 1 mile away. Situated on the boardwalk, this hotel is 2.7 mi (4.3 km) from Cypress Point Park and 2.7 mi (4.4 km) from Rocky Point Golf Course. Raymond James Stadium and Westshore Plaza Mall are also within 6 mi (10 km). Nestled on the beach, this Ruskin aparthotel is within 9 mi (15 km) of E.G. Simmons Regional Park, Cypress Golf Club, and Camp Bayou Nature Preserve. Little Manatee River State Park and South Bay Hospital are also within 9 mi (15 km). 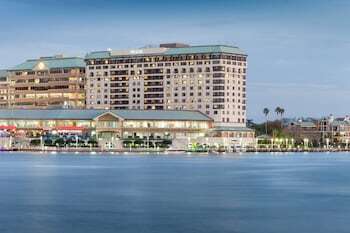 This 82-room hotel is 3 miles from Raymond James Stadium and within 6 miles of downtown Tampa, Channelside District, and Tampa airport and cruise terminals by complimentary shuttle.